If you have experienced acute dental pain and seen your dentist you have probably heard the words that ….you may need a root canal treatment or endodontic treatment. What is a root canal treatment or endodontic treatment? Our natural teeth consist of several parts, one the outside the visible part of the tooth is covered by enamel. This layer of your tooth is incredibly hard and resistant and is the hardest material in our bodies. It is formed early on during tooth development and is generally formed in early adolescence Directly beneath the enamel layer we find the dentine and this generally makes up the majority of our teeth. The dentine layer is softer than enamel and is made up of many millions of tubules, which we call dentine tubules. At the core of each tooth is the pulp chamber which houses the dental pulp. The pulp is made up of small dental nerves, blood supply and lymphatic drainage. Each tooth is therefore supplied by a nerve, an artery and a vein. Ok now that we have briefly discussed the anatomy of a natural tooth we can explain what happens when we need a root canal. Generally tooth decay is a slow process which usually starts first in the enamel. As we mentioned above because the enamel layer is very hard the decay usually takes a long time to penetrate through the enamel layer. However once tooth decay crosses the dentine enamel junction the decay spreads generally much faster. The reason for this is that dentine is much softer than enamel and is also supplied by more nutrients through dentinal tubules. Once decay is inside the dentine, the bacteria which cause tooth decay travel down the dentinal tubules and eventually land up in the pulp. At first the pulp may resist the bacteria and decay in close proximity however as decay gradually progresses the pulp will become more and more infected with bacteria. In some cases this may be a reversible process or problem know as reversible pulpitis (which means inflammation of the pulp tissues) however if this is untreated the situation will worsen and may result in irreversible changes to the pulp otherwise know as irreversible pulpitis. The symptoms for reversible pulpitis may be tooth ache and a sensitivity to hot and cold, the symptoms of pain and discomfort may last a small time ie a few seconds. Sometimes there may be no symptoms at all and the patient may not be aware at all that there is decay close to the pulp chamber and causing a pulpitis. The treatment of this at this stage usually only requires a small dental restoration. The procedure is carried out under local anaesthetic. The affected part of the tooth which has become decayed and damaged by decay is removed using high precision instruments. After the damaged and decayed area is removed the dentist will carefully examine the area to make sure that no decay remains and that the area is disease free. New dental materials with similar properties to natural tooth can then be used to replace the missing damaged part of the tooth. After treatment one may experience slight sensitivity to hot and cold as the pulp adapts to the new dental restoration which has replaced the damaged and decayed dentine. If the process of early decay is not treated and the decay spreads well into the pulp chamber one may experience an irreversible pulpitis. As discussed above this process involves the bacteria tracking down the dentinal tubules and infecting the pulp to a degree that the pulpitis is irreversible. In this scenario the dental pulp will need to be removed as usually this process is accompanied with severe and acute dental pain. The treatment required involves the careful and precise removal and cleansing of the pulp chamber. Dental pain generally originates from the dental nerve and on removing this the symptoms of pain are relieved. As the pulp chamber has been infected with bacteria from the dental decay it is important that the pulp chamber is thoroughly cleaned to remove most of the bacteria that caused the problem in the first place. We say that most of the bacteria need to be removed as its impossible to remove all bacteria completely. Bacteria are microscopic and impregnate the walls of the pulp chamber hence its impossible to remove all bacteria. 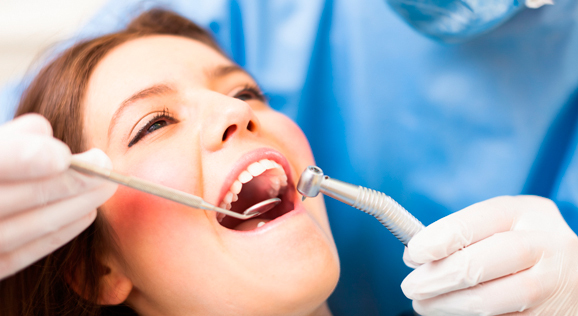 The root canal process usually involves one or multiple appointments. The process of root canal treatment involves removal of the dental pulp, thorough rinsing of the pulp chamber with antiseptic and antibacterial liquids and gels. The dentist will also use special instruments called files and reamers in order to remove a uniform thickness layer of dentine which have impregnated bacteria inside the pulp. This will remove as much bacteria as possible and also facilitate the final stage of the root canal treatment process. Once the pulp chamber has been thoroughly cleaned, rinsed and prepared with files and reamers the root canal is sealed precisely using a root canal filler. The dentist will take some radiographs throughout the root canal treatment in order to verify that the treatment is being carried out accurately and precisely. Sometimes teeth may show additional root canals ( more than those expected ) and from the radiographs this can be determined. Generally the dentist will verify that the cleaning and preparation process of the root canal treatment has extended all the way to the very end point of the root canal in order to ensure that as many bacteria are removed. Leaving a portion of the root canal untreated is surely a reason for root canal failure in the long term. Its not uncommon for a general dentist to be unable to reach the very endpoint or apex of the root canal. This may happen because the root canal is very obstructed or naturally twisted or bent. This will decrease the chance of long term success. In some instances a general dentist may miss a root canal completely as its not evident to the naked eye and hence not visible to treat. The final stage of the root canal process will involve sealing the treated canals with a root canal sealer. This can be done in a number of ways using a variety of techniques and materials. The objective is to seal each root canal with a three dimensional sealer and prevent the canal from leaking. As one can see successful root canal treatment involves several stages of the treatment being carried out successfully. For this reason it is worth noting that root canal treatment is a very precise complex treatment to carry out accurately. The treatment usually requires a long appointment sometimes up to 2 hours in order to carry out each stage of the process properly. Sometimes the tooth needing root canal treatment may be far back in the mouth and this poses difficulties of access to the tooth and more discomfort for the patient in order to keep their mouth wide open while the procedure is being carried out. The access of some teeth may not allow a general dentist to carry out root canal treatment on second molars for example for this reason.